This is a pretty cool punk-type album from a Chicago area band. 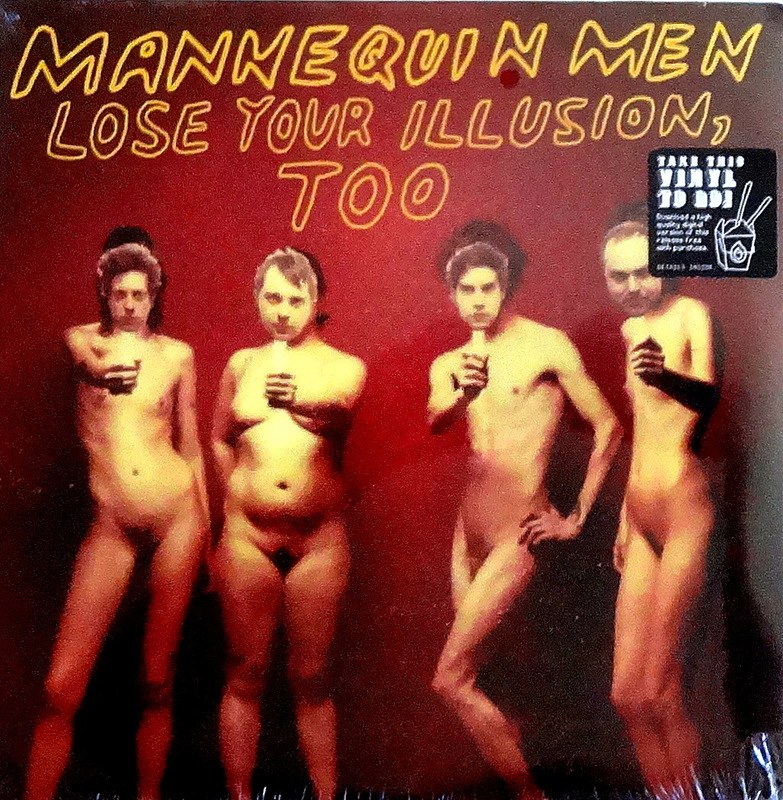 Mannequin Men’s 2009 Lose Your Illusion, Too is a tasty spin for your turntable, and check out that album cover. If this was a major label album, we’d have a new entry for the Controversial Album Cover gallery. I might put it over there, anyway. What’s it worth? I don’t know. The thing with indie punk albums is they’re worth $25 to one audience and $5 to another. Let’s pick a number in the middle and say ten bucks is a reasonable price. Happy hunting. I f***Ing love this cover. I swear, somebody had this in their collection when they came up with the article (that went viral) about how men would look posing like the women do in magazine and billboard ads. I am pretty sure that article is on GMP, isn’t it?